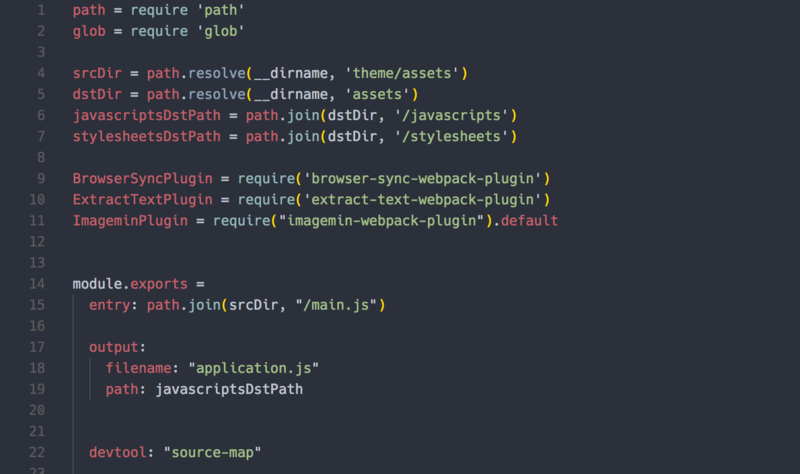 All the power of Pug, Sass, Coffeescript and WebPack in your WordPress theme. Development workflow backed by WebPack, BrowserSync (with live reload), WP-CLI, Yarn. 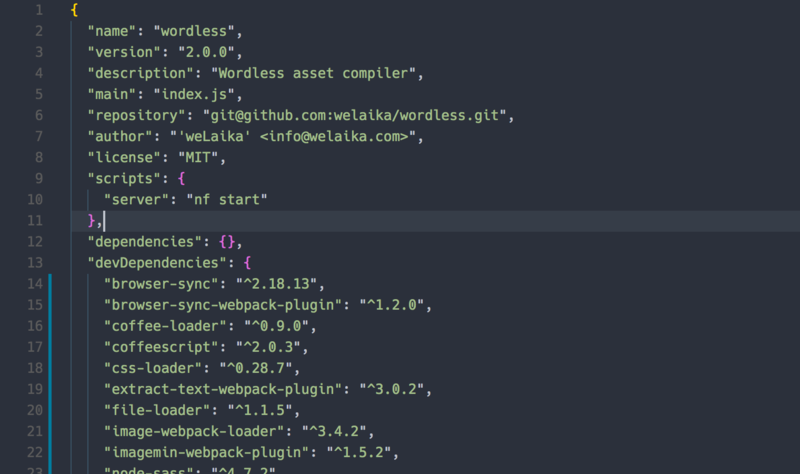 Wordless brings integration with WP-CLI: once installed you'll have wp wordless command ready to start a new theme in a snap. Templates are compiled directly by the Wordless plugin. Once compiled, they'll be cached, so you have not to bother about performance overhead. It will be chained and compiled on the fly inside asset/stylesheets/screen.css, which is already loaded by the vanilla theme. Sourcemaps will be there too, so you'll find yourself comfortable when working inide browser inspector. Need more? Configure the well known Webpack in order to fit your project needs. Backed by WebPack, BrowserSync, WP-CLI, Yarn. All the standards you already know, all the customizations you may need.